You can’t stop with the stethoscope. Physicians now need to embrace all kinds of technologies to improve care – and give patients what they want. Patients, in fact, are all about the use of advanced technology to improve their health these days. More than half of consumers are interested in buying wearable technologies such as fitness monitors for tracking physical activity and managing their personal health, according to the Accenture Digital Consumer Tech Survey 2014. "In the past year wearable technologies have emerged as the next big consumer electronics market category, particularly for health and wellness," said Mattias Lewren, global managing director of Accenture’s Electronics and High-Tech industry group, in a news release. A survey published in the Journal of Medical Internet Research in September revealed that consumers really want physicians to move forward and adopt a variety of emerging technologies – while the doctors, themselves, expressed some reluctance. Even though this information is hardly earth-shattering, physicians need to pay attention to the specific technologies their patients are interested in so they can incorporate them into their practice to offer better care in the future. The survey, which was conducted by Scripps Research Institute and authored by Dr. Eric Topol (a renowned digital medicine researcher), indicated that nearly 40 percent of the consumers questioned supported using new technologies for a non-life threatening medical diagnosis, compared with only 14 percent of providers. Nearly 28 percent of physicians felt uneasy about consumers using technology for self-diagnosis compared with only 16 percent of consumers, themselves. Only 60 percent of surveyed providers approved the use of smartphones for collecting heart rate data, compared with 65 percent of surveyed consumers. Just 48 percent of physicians wished to use smart phones for collecting data on a patient’s skin problem, compared with 62 percent of consumers. If physicians opened up their technology hearts, however, they would discover all kinds of possibilities. There is a plethora of new electronic health record (EHR), smartphone and wearable technologies available for healthcare, including applications for remote monitoring and telemedicine, that can offer innovative ways for clinicians to stay connected to their patients and provide more timely and effective care. For example, if a diabetic patient is sending their glucose levels to their physician on a daily or weekly basis via one of these technologies, the physician can make adjustments to the patient’s medication as needed, rather than waiting for their next visit. Request a blanket or pain medication via their smartphone while in the hospital. Share information with all care providers through a single click. Get a streamlined and easily understood bill from providers. Receive a test alert when their blood pressure rises. Obtain real-time information that can influence daily health and wellness choices, such as identifying when pollen levels could trigger an asthma attack. In addition to leveraging emerging technology, patients want their doctors to share information in their EHRs – as 92 percent of consumers said that it would lead to better management of their health. But doctors are reluctant on this front. The survey also revealed that 90 percent of physicians were concerned that patients would experience anxiety after accessing their electronic health records and 82 percent felt that it would lead to requests for unnecessary medical evaluations. Unsurprisingly, only 34 percent and 25 percent of consumers felt the same concerns, according to the survey. Giving patients access to their EHRs also can offer physicians another method of communication with their patients. And as Medicare and other payers are moving toward reimbursements based on value rather than individual services, such access may be able to improve patient outcomes without face-to-face interaction between a physician and a patient. Technologies such as patient portals could enable sharing of such data, which could lead to a more open line of communication between patients and providers—as well as improved care and outcomes. 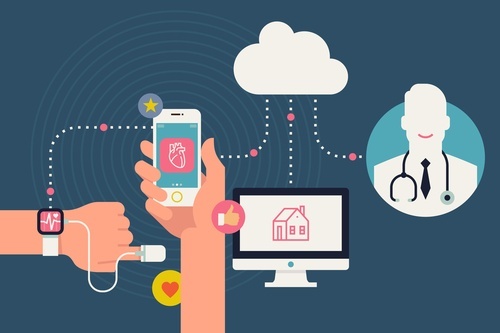 So no matter what type of technology consumers want to use, whether it’s wearables, smartphones, portals or “phablets” – the new category of devices that are between the size of a smartphone and a tablet – there will always be ways for physicians to incorporate them into their practice. To find out how RevenueXL’s certified EMR and EHR systems can help your practice better serve your patients’ technology demands and improve care in the future, contact us today.